The IP to Country geolocation database provides a passive and very accurate way of determining the physical location of any computer's IP address. The database contains description of all IP network ranges and the countries they are located in. 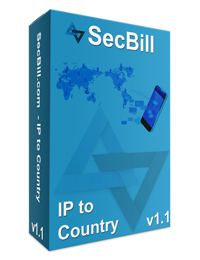 This makes the process as easy as looking up an IP in the database and determining the actual country of your website visitor. start_ip BIGINT Starting IP address of network range. end_ip BIGINT Ending IP address of network range.